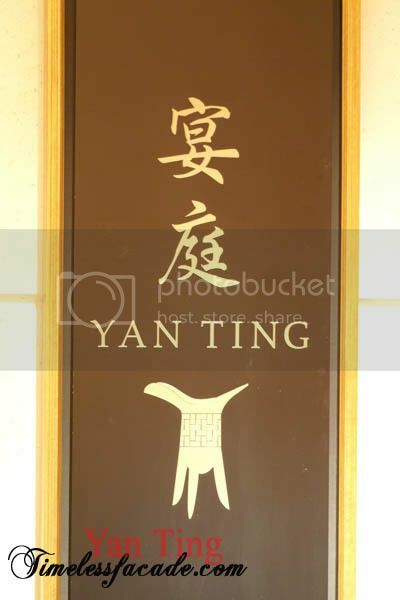 After a most wonderful dim sum experience at Yan Ting barely 4 months ago, I was back for a much anticipated revisit. The interior needs no reintroduction, remaining as grand and comfortable as I remembered it to be. 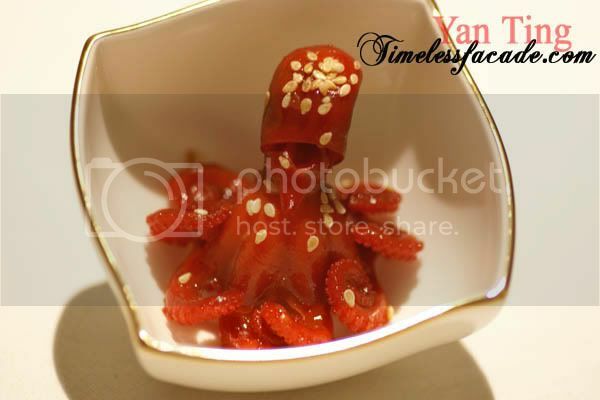 The amuse bouche this time round was a tiny little red octopus sprinkled with sesame seeds. I don't really fancy octopuses but this one wasn't that bad tasting. Crunchy and a little sweet. A nice start. I had requested to change the soya chicken in the platter to roast pork, which did seem like a good idea. The pork was nice and salty with a very crisp skin. However I did find the proportion of fat a little too excessive for comfort. Aside from that, I thought the duck was quite good - crispy skin and a tad chewy without being too dry. 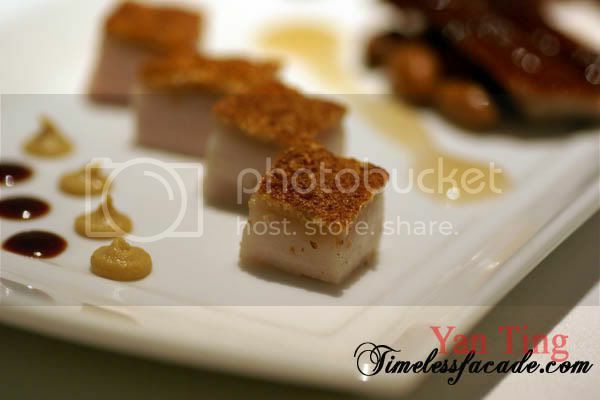 The BBQ pork, or char siew, didn't wow me though, coming across as crunchy (how weird!) and a little too dry. 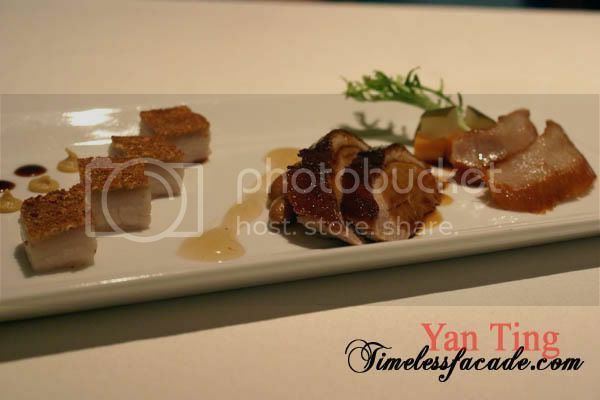 At $16++ for a platter of mini size me pieces of meat, its really a no brainer to avoid this dish the next time round. 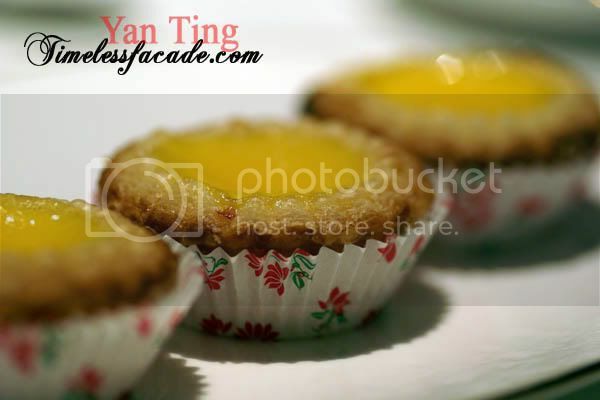 One of the highlights from my previous visit, the egg tarts were comparatively a little lacklustre this time round. That's not to say that it wasn't good though. 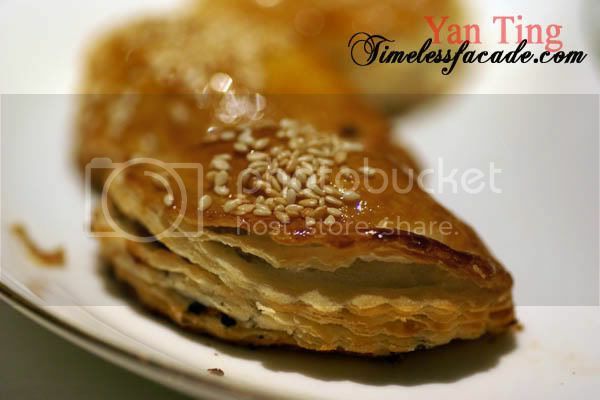 The pastry was still excellent, flaky and buttery with a nice aroma. Would have preferred a heavier dosage of butter in it though. Coupled with the not too sweet custard, it made for a delectable snack. 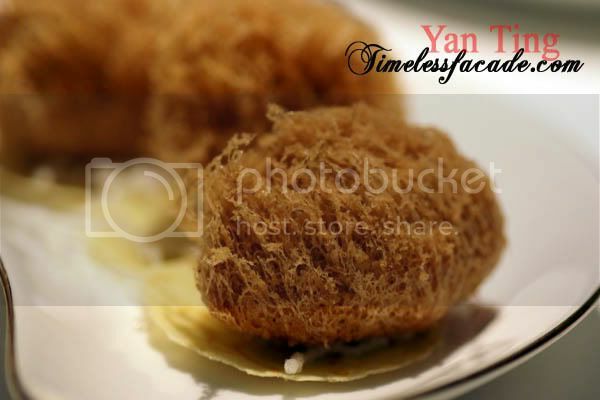 The yam croquette had a filling of chicken and mushroom with a very crispy exterior. The yam taste wasn't overpowering which was a plus but I did find the whole thing to be rather oily. Definitely not something I would want to order again. Not for this run off the mill rendition. A rather interesting dish and a first for me. 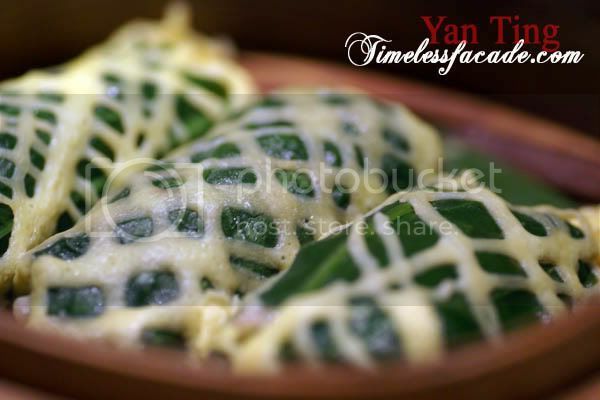 The steamed mushroom roll was essentially golden mushroom wrapped up with spinach and drizzled with egg atop to achieve a criss cross pattern. Personally I thought it came across as nice and light and very healthy of course. 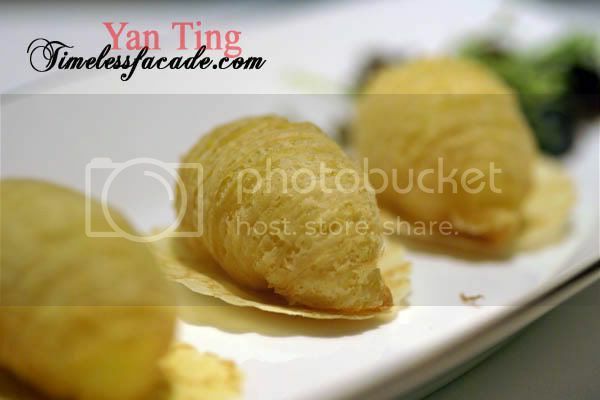 Personally I thought this dish was quite good - fluffy and crisp on the outside with strands of soft and piping hot radish on the inside. Undoubtedly the pièce de résistance of my previous and current visit, the char siew sou suffered the same fate as the egg tarts - inadequate butter in the pastry. But still good nonetheless, with the char siew bits plump and tasty without being overbearingly sweet. 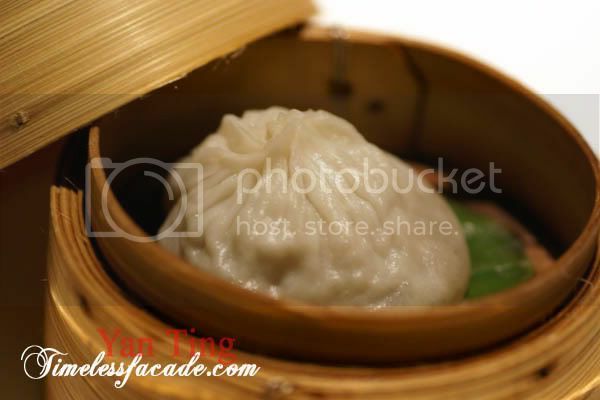 A staple in any dim sum menu, I found the siew mai relatively good with a much higher proportion of lean meat that didn't overwhelm on the pork taste. On this occasion the siew mai did seem a tad too dry on the outside though, making me wonder if it had been left out in the cold for a period of time. 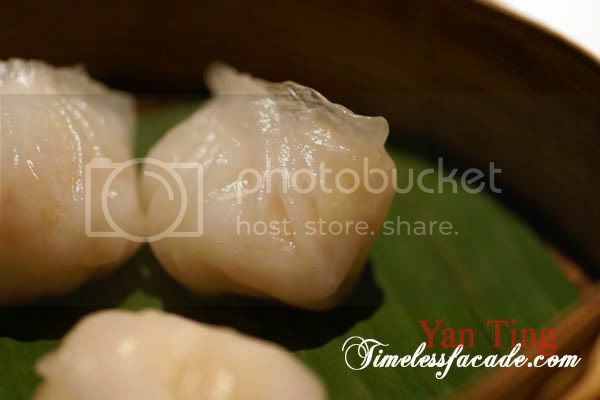 The Ha Kao or prawn dumplings truly exemplify the phrase, simplicity at its finesse. 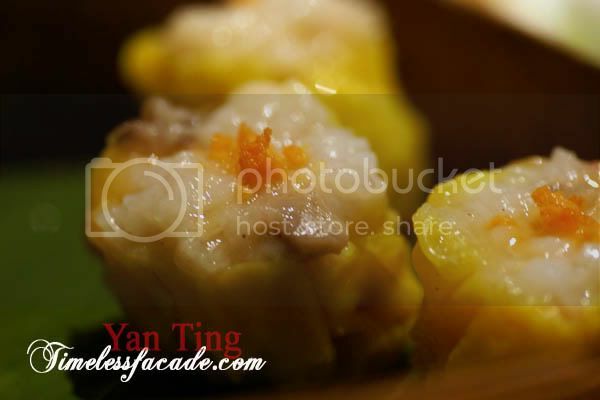 Fresh, succulent and crunchy prawns shrouded by a thin translucent skin that promised to be light on the palate. Even at $4 a pop, I couldn't help but order the XLB. Such was its draw. The skin wasn't too thick and amazingly managed to hold onto the copious amount of soup within. When a hole was made at the side, the flavourful juices literally gushed out. Only gripe I had was that the meat did seem a little too soft. 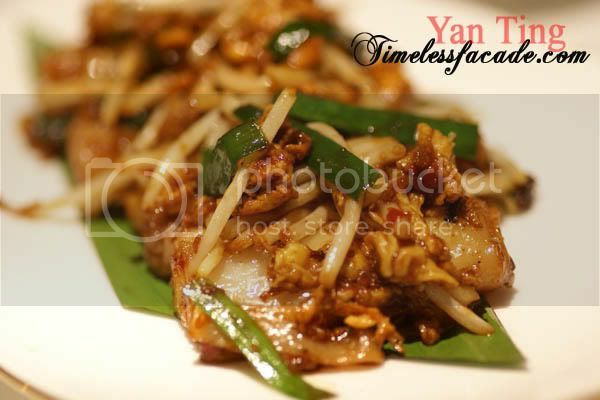 One of the few dishes that I didn't find outstanding at all, the XO Cheong Fun was like stir fried Hor Fun with all the bells and whistles. Someone please remind me never to order this dish again. The 3 of us spent about $150 on dim sum ($50/pax), which is rather expensive honestly. 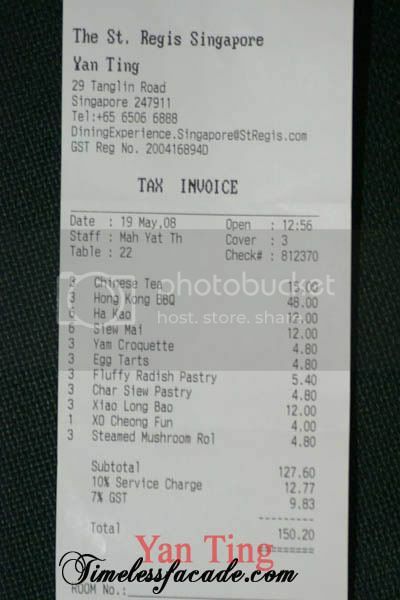 But take away the order of the BBQ platter and the price drops to a more reasonable $32/pax. 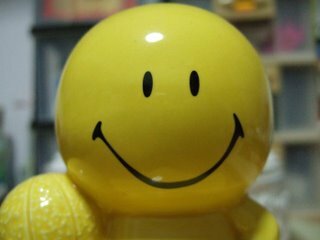 Service is impeccable and I'm very sure I'll be back again very soon. wow... u realli love your XLB. $4 a pop! The XLB is a lone huge one right? 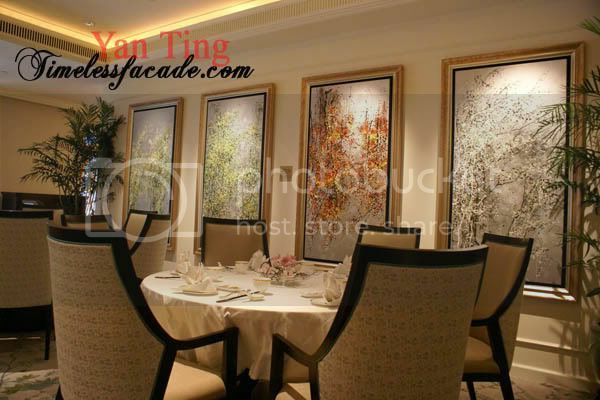 Actually, despite many reviews about the lack of "Wok Hei" in Yan Ting's Ala carte dishes. I really liked the Fried "Mee Sua", which tasted somewhat between "Dong Fen" and "Mee Fen". The Wok Hei was good enough for my tastebud. That's is why i prefer to go with a big group of pp.. it would be less ex.. plus you get to try lots of varieties. 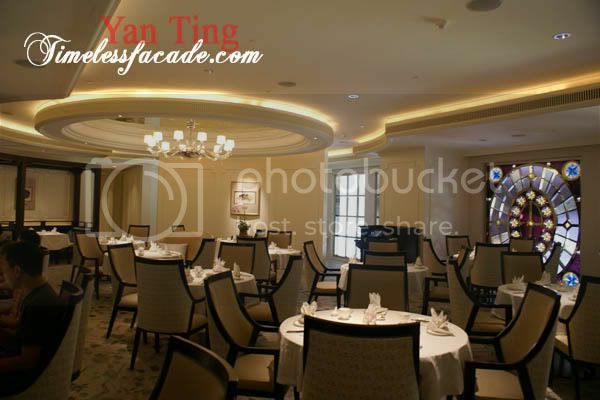 i just went today.. they have buffet for the dim sum at $78/pax (min) which includes shark's fin soup and lobster.. now they are not priced at per piece.. it comes in either a pair or 3 per plate.. if you went in a group of 3, they will automatically order 2 sets for those dishes that comes in pairs so that everyone gets to try..